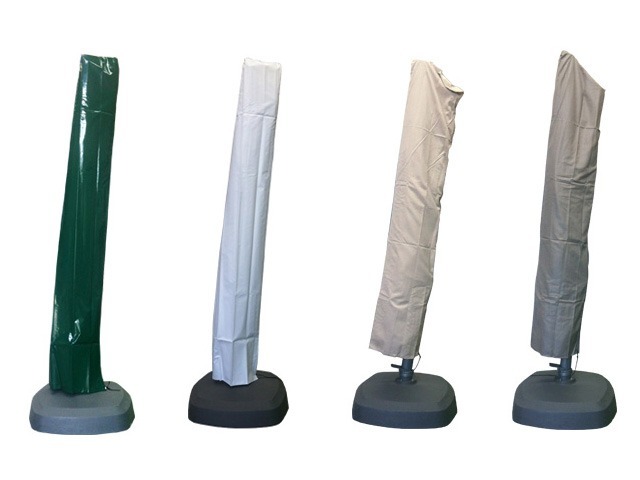 Check out our range of Sidepost Umbrellas here! View our selection of Umbrellas to find the one that is right for you. 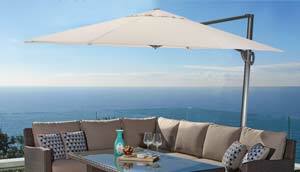 Cantilever Umbrellas has a wide range of exciting umbrellas perfect for all kinds of people and situations. 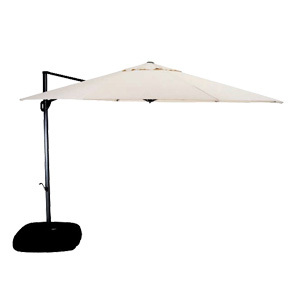 Check out our range of umbrellas here! All our umbrellas have an exciting 360 degree rotation feature. 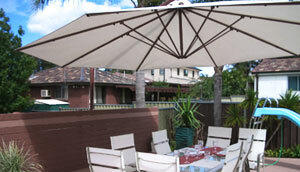 Cantilever Umbrellas feature a side-pole which allows for more freedom and movement under the umbrella. 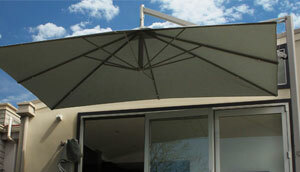 Every cantilever umbrella features the ability to rotate 360 degrees to move the shade to where it is needed. 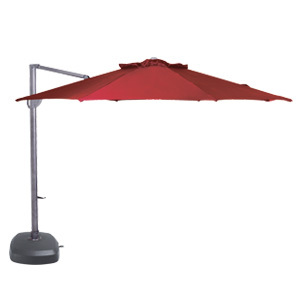 The Umbrellas also feature tilting options to enable shade to be pointed to different areas without having to move the umbrella itself. 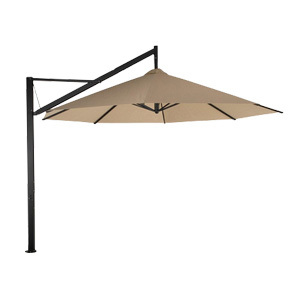 The Revolva Shade Umbrella is one of a kind. 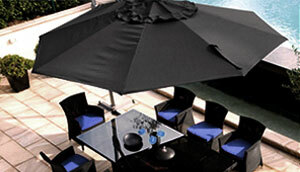 It's unique features and high quality materials truly makes this Umbrella top of the range and worth every cent. 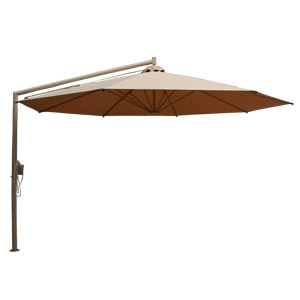 With all the features you could ever need on an Outdoor Umbrella, the Savannah is the perfect affordable Cantilever for anyone. 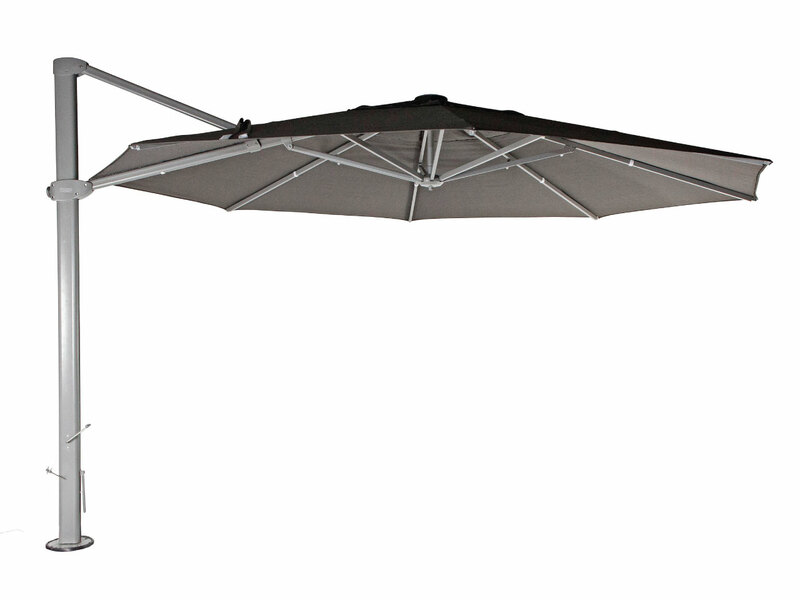 The Sidepost Classic is a hard wearing Australian made Cantilever Umbrella and without a doubt has earned the title of 'Classic'. 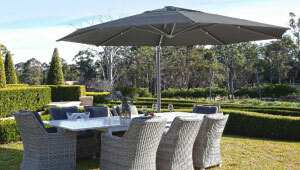 The Bambrella is our new addition to the Cantilever Family. 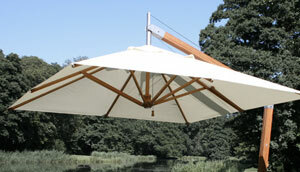 It's laminated bamboo frame and Spuncrylic canopy truly makes this umbrella new and exciting. The Lynden is a smaller sized cantilever. It's small size definitely does not affect the quality and amount of features that The Lynden holds.